Once again, Unimore Nanomedicine is awarded an international financing. The study, financed by the Creutzfeldt-Jakob Disease Foundation, is Unimore Te.Far.Ti project that investigates the new approaches for the treatment of prion diseases, in particular the use of polymer nanoparticles addressed to the Central Nervous System and carrying a new drug against prion diseases such as the Creutzfeldt-Jakob disease, the so-called Mad Cow. The project is aimed at developing a new feasible treatment for Prion disease, that today is still missing an effective diagnosis and treatment. Other than developing the nanotechnology required, the study being financed has the purpose of achieving pre-clinical results in animal models with prion disease and therefore give new impetus to the progress and transfer of this innovative approach. The project will be developed by the Te.Far.Ti group of Unimore made of professors Giovanni Tosi, Barbara Ruozi, Maria Angela Vandelli and Flavio Forni of the Department of Life Science, in collaboration with professor Roberto Chiesa, coordinator of the Laboratory of Neurobiology of Prions of the Department of Neurosciences of the Mario Negri Pharmacological Research Institute. 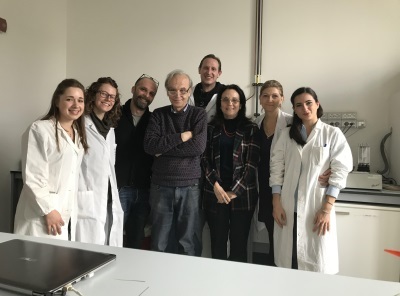 For years now, Mario Negri Pharmacological Research Institute has been collaborating with our university, in particular addressing to innovations in the treatment of pathologies of the Central Nervous System. Professor Giovanni Tosi, who is in charge of the project and coordinator of the platform of Nanomedicine of Unimore, and scientific responsible for Unimore within the European Technology Platform for Nanomedicine, remarks that Despite being the result of a relatively young study, this project has reached preliminary results that are extremely promising, such to allow competition and financing from one of the main international foundations on Creutzfeldt-Jakob. The financing has an international connotation, still with an ethical and scientific responsibility value, and is even more relevant in our quality as researchers and scientists, as these foundations are financed by patients or relatives of patients who invested all their savings and focused on the development of our research, and to whom we will answer with our utmost commitment, aiming to achieve increasingly relevant results.